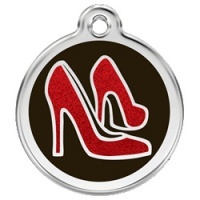 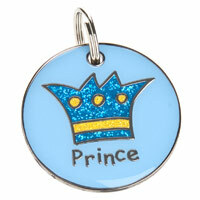 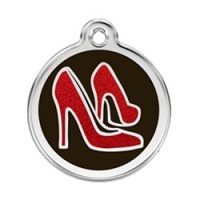 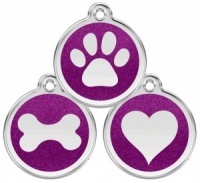 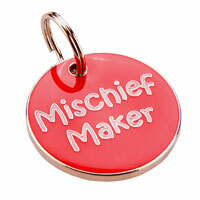 Incredibly stylish glittery red shoes dog ID tag with classic black enamelled background. 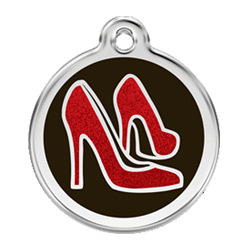 Perfect for special occasions or just to make every day glamorous. 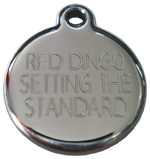 This hard-wearing polished stainless steel dog tag is by Red Dingo and deep engraved in-house by them.